Located in the Royal Borough of Kensington and Chelsea, 375 Kensington High Street is one of London's most sought after new addresses. 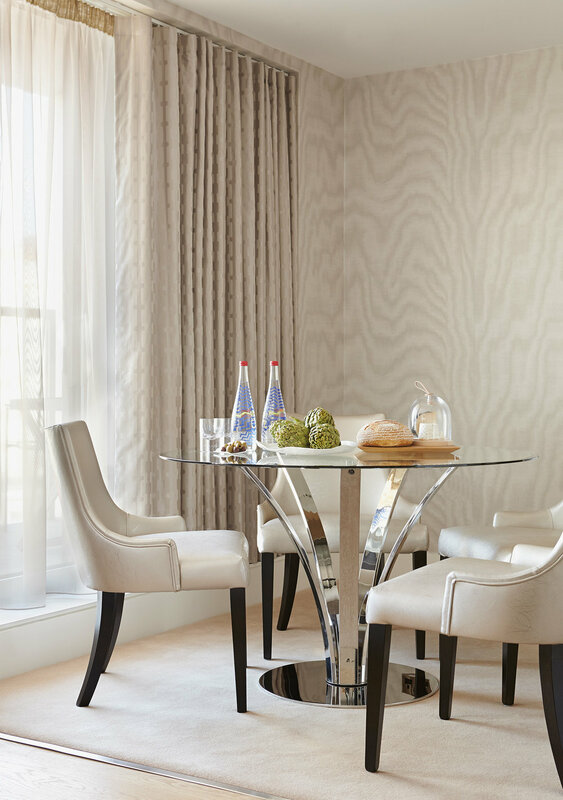 Understanding the resident demographic, BoxNine7 were proud to develop tailored furniture ranges for residents at this high calibre development. Our designer Sophie hopped over to Kensington High Street to explore it's surroundings. Take a look at her top choices below and be sure to check them out if you're ever in the area. For those who want to know the difference between a CHÂTEAU PÉTRUS and a CHÂTEAU CHEVAL, this is the place to expand your knowledge. Robersons wine is the UK's best wine merchant and is right on the door step of 375 High Street Kensington. As one of London’s most exclusive business members club’s you can expect to see Kensington’s most delicious restaurant with a spectacular cocktail bar. The restaurant focuses on the very best of seasonal British cuisine using the finest ingredients, perfect for Saturday night dining experience, whilst the bespoke bar offers a mix of classic delights. From Hyde Park to Holland Park, the Kyoto Gardens set in the heart of Kensington is the perfect set up for a tranquil ambience and a bit of time out. Wander around the Japanese Garden and Orangerie which showcases a miniature landscape designed for aesthetic pleasure. The historic 'London in Bloom' that is the The Churchill Arms is famed for its beautiful flower displays and hanging basket trios that shower the streets with colour and excitement. It is the perfect place to unwind in front of the log burning fire.